Comment: This is a day of celebration. King David has returned the Ark of the Covenant to Jerusalem. This is a day the people have been waiting for. Celebration takes the form of dancing and eating, but not everyone completely understands the joy in King David’s heart. In Something’s Happening on Calabash Street, Mischa is confused about what is going on. He helps his mama prepare for something he doesn’t quite get. As the day goes on, and the preparations are finished, Mischa learns the something is a block party. It is an evening of celebration. Everyone brings food to feast, dance, and celebrate. Mischa and King David are celebrating drastically different things, but the joy and excitement is the same. It is from this that they each can celebrate. Comment: These words from Ephesians remind us that we belong to God. These should be words of comfort because when you belong, you are part of something bigger than yourself. When we belong to a family we cared for, loved, forgiven, and pushed to be better. This is what it is like to belong to God. Through our relation with God, we are loved, cared for, forgiven and pushed to be more Christ like. Belonging to God is not always easy. Sometimes we mess up and God offers grace. Sometimes we don’t know what to do and God sends the Holy Spirit to fill us with wisdom and revelation. 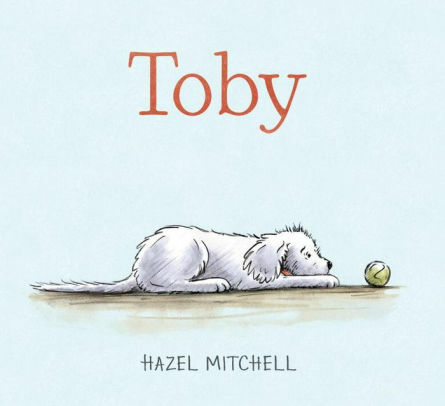 A young boy learns the power of belonging in Toby as he brings home a rescue dog. Toby joins the family and does not immediately fit in. Toby struggles to feel safe, to meet expectations, and accept the love being offered to him. After a few mishaps, the young boy’s father begins to second guess Toby’s fit in the family. The young boy on the other hand knows not to give up on him, and he works really hard to help Toby overcome his fear so that he can be a part of the family. Comment: King Herod finds himself in a bit of a predicament as he promises to give his daughter anything she wishes. She makes her wish for something cruel, something he doesn’t want to give her. Yet he still honors the promise he made to give her anything she asks for. 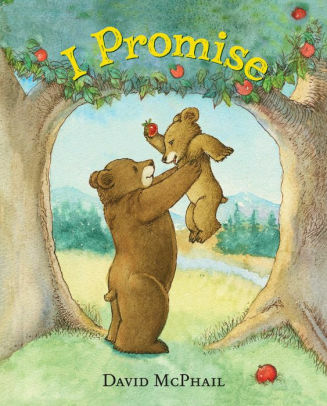 Baby Bear and Mother Bear explore what a promise is in I Promise. This story follows Baby Bear and Mother Bear through their day as Baby Bear discovers what it means to promise. Keeping a promise is important. Keeping a promise shows the one you promised it to that you are a faithful person. King Herod shows us the importance of not making an open-ended promise, while Baby Bear and Mother Bear show us the ways we keep our promises. Thanks to Union Presbyterian Seminary alumna Elizabeth Boulware Landes for writing the Revised Common Lectionary Links for the past four weeks. Elizabeth serves as the Associate Pastor for Children’s and Family Ministry at Faith Presbyterian Church, Aledo, TX. Lectionary Links (RCL): July 15, 2018 by Storypath is licensed under a Creative Commons Attribution-NonCommercial 4.0 International License. We are trying an intergenerational gathering once a month during lunch on summer Sundays. This is such a helpful resource. I believe there was a lesson plan provided for the book we featured last month, but I don’t see one for Toby. Is is missing? Or am I just not searching correctly? Thanks for the book links! The best way to search for anything is to use the magnifying glass in the top right corner and enter the word or hrase you’re looking for. If you search for the title of a book in the A-Z list on the site, you’ll seldom get the books recommended in the Lectionary Links. Those books (in the A-Z list) are ones we’ve done full reviews or lesson plans from. Hope this helps.